Despite being the seventh largest city in the United States, San Antonio is generally left out of the conversation in terms of huge cities. But it has many distinct and varied aspects to it such as its rich Catholic and Latino culture as well as headquartering Five Fortune 500 companies such as Valero Energy, Tesoro, USAA, NuStar Energy, and Clear Channel Media. 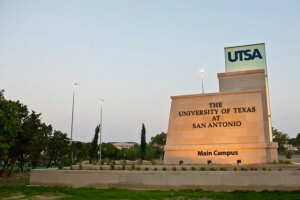 The city has many colleges and universities to choose from, though the most popular and prestigious are UTSA, Trinity University, and St. Mary’s University. These three schools are located north of downtown and in midtown with the main campus of UTSA in the north western quadrant. Housing around UTSA is generally pretty easy to find with a large variety of houses to rent and cheap apartments with utilities included. Also, a tip for students: although many students turn to craigslist for their apartment search, using multiple apartment finding services will yield more apartments without having to worry about scams. 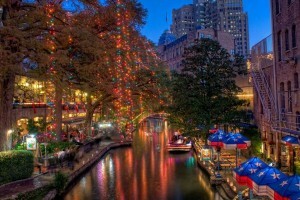 One of the city’s most popular attractions is the River Walk. The River Walk is a public park that runs alongside the San Antonio River. Some of the nicest restaurants and bars (such as The Esquire Tavern) are in this area and the city puts on events all year long such as parades, arts and crafts shows and more. The demographics in this area range from families to professionals, though the closer you are to the river, the more expensive and the nicer your apartment search will be. For those that want to experience city living and all of its benefits (such as the River Walk), living downtown will satisfy your appetite. With everything within walking distance, those without cars will find living here very comfortable. For example, check out the Majestic Theatre for fine performing arts. Even though you’ll be within the center of the metropolis, the homes for rent are affordable and there are tons of studio apartments for those that prefer to live alone. The city is very pet-friendly as well. Feel free to take you dog on the River Walk or La Villita village and into many restaurants such as Cappy’s or The Friendly Spot. There are numerous dog parks throughout the city that you can let your pup run wild at as well as several large parks such as Brackenridge Park and McAllister Park where you will have to keep your furry friend on a leash. With an already pet-friendly atmosphere, narrowing down to San Antonio’s pet-friendly apartments will still yield a lot of results. The city has a very strong Latino cultural presence that is exemplified by La Villita Historic Arts Village and the Guadalupe Cultural Arts Center. La Villita Historic Arts Village hosts festivals all year round that range from live music, art shows, food bazaars and others. The Guadalupe Cultural Arts Center is an organization that focuses cultivating, promoting and preserving Latino arts and culture. Programs focus on visual and performing arts in order to reinforce a contemporary Latino culture. The area is also home to a strong Catholic community. There are over 15 private catholic schools throughout the greater area and many beautiful Catholic establishments such as the St. Joseph Catholic Church and of course, the Alamo. These places of interest receive a lot of attention from tourists and citizens alike. There is a large military presence outside the city limits. With bases such as Fort Sam Houston, Lackland Air Force Base, Randolph Air Force Base, and Lackland AFB/Kelly Field Annex, the city is home to more Department of Defense students than any other military installation and employees over 180,000 local citizens. Luckily, this is an inexpensive city to live in and apartments for rent near the schools are easy to find for students. For families moving to the region, Cibolo and Schertz were rated and reviewed as two of the happiest areas in the United States. Although they are about a forty-five minute drive to central San Antonio, the areas make up for it in terms of resident safety, income and education. Although the area is known for its high home ownership, the right apartment guide can help find excellent apartments for apartment seekers. However, those looking for apartments closer to the city that are within family-oriented areas should check out Alamo Heights and Terrill Hills. Each have great reviews and ratings in terms of safety and convenience and the public schools are some of the best in the area. Despite being close to downtown, Terrill Hills has a quaint feeling to its city and even has its own police department and fire department. There is a wide range of rentals in this area such as condos to luxury apartments, so if you are looking for a particularly nice area to live, make sure to check out Terrill Hills. Generally, San Antonio is warm throughout most of the year. Knowing that, having A/C and heating covered is a great way to keep apartment costs down, so finding an apartment with all bills paid will benefit not only your comfort, but your budget.